How can i tell if my mattress needs changing ? It is reccomended that you change your mattress every seven to eight years, but this varies - A high-quality mattress may last much longer, while a low-quality mattress might not last as long. Consider whether or not it takes you a long time to get to sleep, whether you wake up during the night, whether you have aches and pains in the morning - Any of these things could be due to your mattress no longer giving you proper support. If your mattress is sagging, lumpy or worn, it could be time to make a change. How much should i spend on a new mattress ? We reccomend that you spend as much as you can afford on a new mattress. Your mattress is an investment and the better the quality of it is, the longer it will last. You spend around a third of your time in bed, so its well worth buying a good mattress to ensure you sleep comfortably. What mattress is best for me ? The perfect mattress differs from person to person, but we do our best here at Deans to help you find yours. 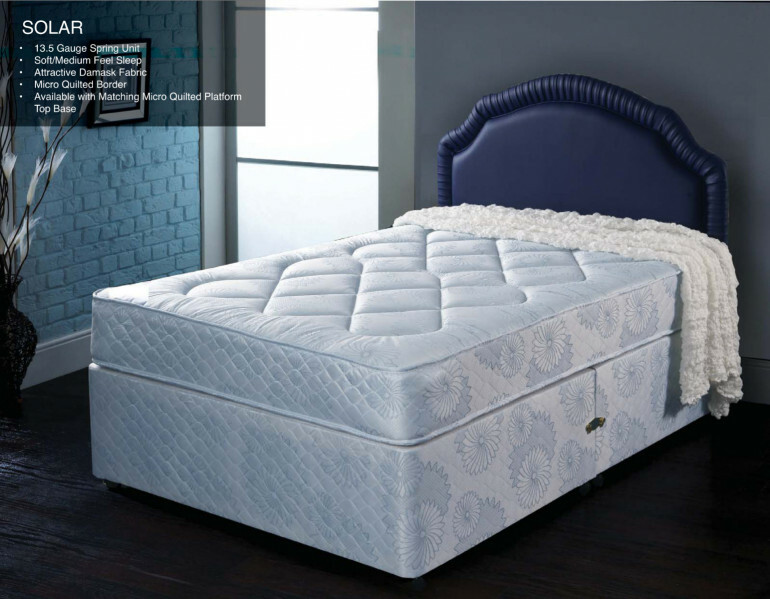 Mattresses vary by tension, structure, fillings, price and more. Every mattress has specfications, so it's easier to decide if it's the right one for you. Do you do EU/US/Special sizes ? What if I decide I dont like the mattress i've purchased ?